Abu Dhabi Food Festival (ADFF) will return this year from December 6 to 22. 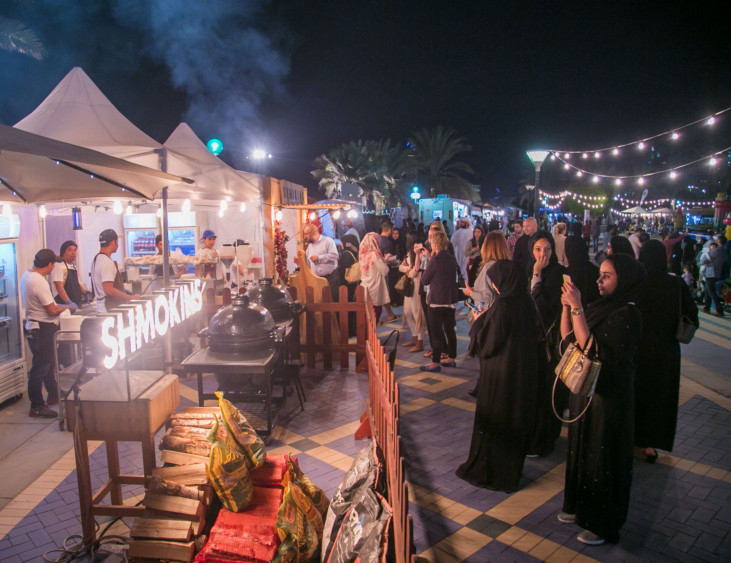 The Department of Culture and Tourism – Abu Dhabi initiative will see visitors entertained with food trucks, markets, movies, photography workshops and celebrity chef appearances. Events include World of Food Abu Dhabi at the Corniche, Big Grill on Yas Island, the Abu Dhabi Food Festival Scavenger Hunt, Festember and Abu Dhabi Restaurant week. This year there will be a Vegan Market that will feature plant-based cuisines from the UAE’s hotspots, along with activities promoting a holistic and healthy lifestyle, such as yoga and reiki sessions, as well as food photography sessions. Art studio workshops will also be on offer to this year’s attendees with activities where Art Studio will adapt its drop-in workshops on these dates for adults, juniors and children.